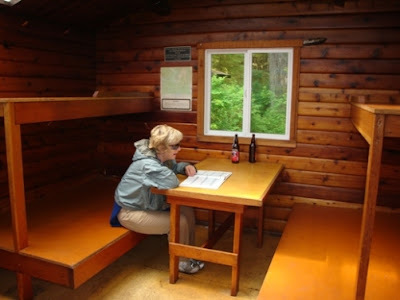 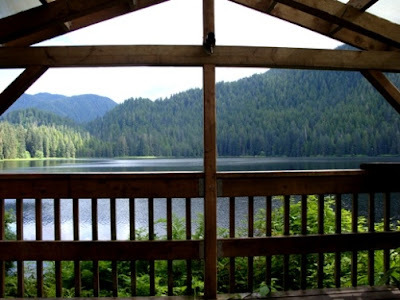 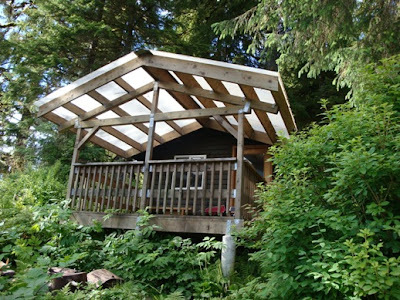 This is a great standard cabin with a large covered deck with a great view of the lake. 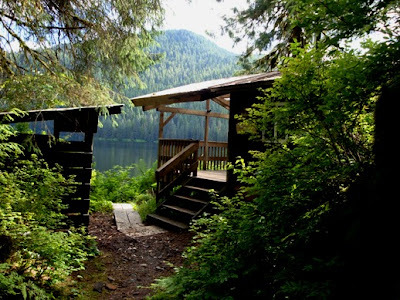 The problem is the lake is 3000 feet long with 200 foot trees on most sides, way too small for my 285 hp Cessna 180. 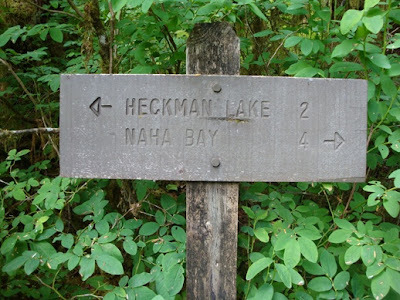 You can land at the north end of Heckman lake and hike the 2 miles to the cabin.